Funny things happen when you paint yourself into a corner. Like, say, if you decide at the beginning of your year abroad that if Germany is not a credit-card friendly place, then you’re going to live in a cash economy. What you don’t yet perceive is that while cash is fine for small transactions like coffee or a meal out, kontos are the way to go for recurring costs, school fees, doctor visits, and so forth. A konto is a local bank account, and we simply don’t have one. We found conflicting information about Americans opening a konto both online and from our German contacts, and the pileup of misinformation, anticipated fees, and red tape led us to throw up our hands at the outset of our stay and say fine, cash it is, occasional wire transfers will suffice. And so it has been. This leads to curious situations. We do, after all, have three children who eat school lunches and attend after-school programs. We do have a lease on an apartment which requires us to pay a mandatory public radio fee for the year. I did decide to join the rowing club on the Wannsee. And we have been known to see local doctors. All of these institutions expect you to pay your bills with a konto. Paying E’s school lunch fee sent M and the girls across the city to a farflung office in early September, spawning a visit to a medieval castle in Spandau that they might not have visited otherwise, and generating the family’s most extensive day on public transport, totaling 44 stops. Becoming a member of the rowing club took no less than 27 emails dealing with my unique situation and my inability to pay with a konto. I eventually brought hundreds of euros to the club one Saturday and handed them rather unceremoniously to the coordinator, who had agreed to run the cash through his own personal account. Last week I make a trek across town to pay a fee for some labwork done at my doctor’s office. I had tried to pay it in person on my last visit, but the secretary explained in her limited English that the lab’s office is in another part of the city entirely and was unconnected to their operations. If I had no konto I could simply go there to pay. Sounded easy enough. The bill was already overdue and I wanted to get it taken care of, though it was just after New Year’s and I couldn’t be sure the office would be open. I did the brave thing and picked up the phone. The woman who answered was very courteous but did not speak a word of English. I explained my situation in badly stitched-together German. She pulled up my account and saw the bill and confirmed that I could come to their office to pay it. I gave her my birth date and confirmed our home address. She laughed as she hung up, but it sounded good-natured and not derisive. I hung up the phone and jumped for joy at this accomplishment, causing my family members to shake their heads at me. Still, the bill was not yet paid. I plotted out my route, which required two trains and a bus. The directions on the website noted that “the parking situation is difficult to hopeless,” which amused me, but did not affect me as I would not be driving to this destination. 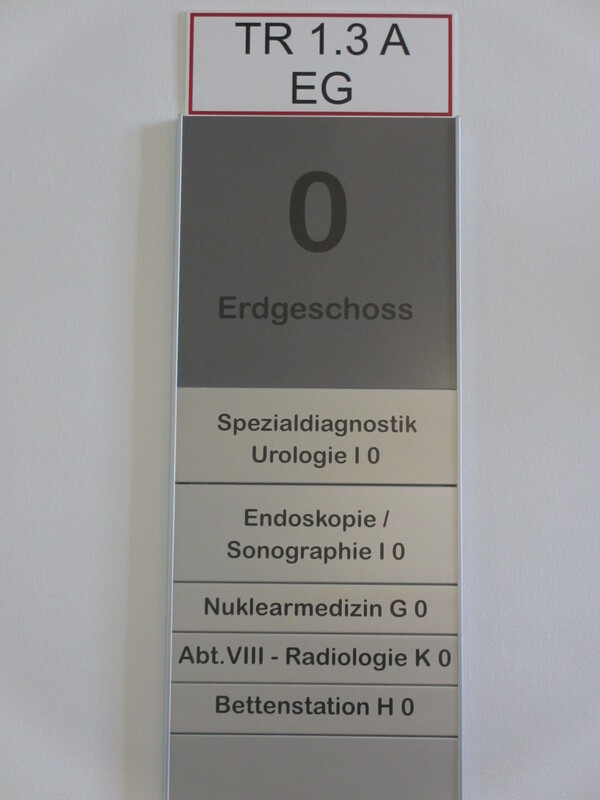 The lab turned out to be located in the middle of a military hospital, a sprawling complex of buildings that reminded me of a Tarkovsky movie set, empty halls, long corridors, double doors that swing open in anticipation of you, and disconcerting signs pointing the way to Nuklearmedizin. The few people I saw were in fatigues or military officer dress. I wandered the halls, trying to decipher the signs, but none indicated the office I sought. I walked down to the basement level of one building where I thought the office must be, but I saw signs that declared something akin to “No Admittance.” I pulled the door open anyway, but the hallway looked dark and unused and the smell was remarkably unpleasant, so I retraced my steps to the main floor. I wandered down a hallway past clinic rooms until I stumbled upon two nurses in white uniforms who could tell I was lost and stopped me to try to decipher where I needed to go. They spoke not a word of English. They took my folded and marked-up bill and read the address aloud to one another over and over; it was the same street address as their own, but there were at least six buildings in the complex. One said something to me so long and fast and unintelligible in German that all I could do was smile at the absurdity of the situation. It appeared that these two nurses, who work in the very building of the office I sought, had no clue where I needed to go. One of the nurses led me down a new hall I hadn’t seen before to find a doctor who spoke English, and on the way we passed open doors to clinic rooms and people waiting, and there was a man lying on a cot in obvious distress, and a woman sitting by his side, and it made my stomach clench to witness such a scene. The doctor did little more than confirm the nurse’s assessment that I’d chosen a schlechte Zeit to come; really, what was I thinking trying to come unannounced on a Friday after 1 p.m.? But I assured him that I’d called ahead and that they were expecting me. With this unnecessary confirmation the nurse now led me back down the stairs to the very basement door I had tried before. And I was able to identify the smell this time; it was like holding the lid of an old-school diaper pail very close to your nose. It was the overwhelming smell of disinfectant. And sure enough, there on the wall was a sign for the office matching the logo imprinted on my bill. At this point the nurse turned and left, glad to be rid of me, it seemed. I opened the door and was startled to find I was stepping into an active laboratory, where a man in scrubs with blue gloves on his hands was placing vials into a large vat, and a woman carrying a tray of test tubes walked past. There was a steady low hum to the place. I was in the middle of their laboratory. I apologized to the young man nearest me for interrupting his work, and explained that I was an American without a konto and needed to pay a bill to his office. My words struck me as incredibly lame, that I had come so far, spent so much time on this fool’s errand, and now I was presuming upon his time as well. But he was remarkably courteous, glad perhaps for the distraction of doing something different for a few moments. The office is so unaccustomed to people walking in to pay their bills that he had no means of providing me with a quittung, so he sat at a computer and typed a formal letter of receipt himself. 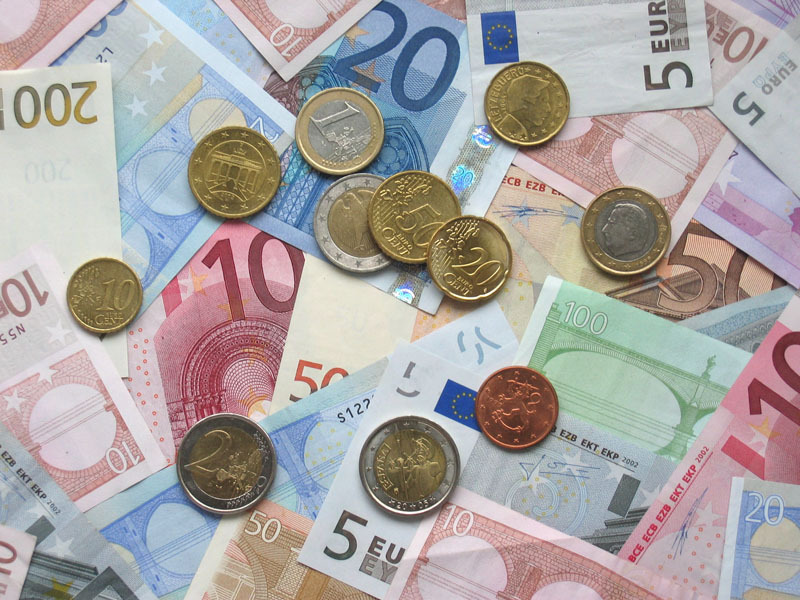 I placed my 55 Euros and 25 cents on the desk, cash looking so incongruous in this setting, and thanked him profusely and returned to the awful hall where the scent assaulted my senses once more. Back through the Tarkovsky movie set, back to the street where the fresh winter air of Berlin never smelled so sweet. With my bill paid, my work time could begin. Like M on his trek to Spandau to pay the school lunch fee, I too wanted to make a stop on my way home. Working in a café suited me fine; why not choose a café of character? Two quick subway rides later, I found myself drawn to Museum Island. 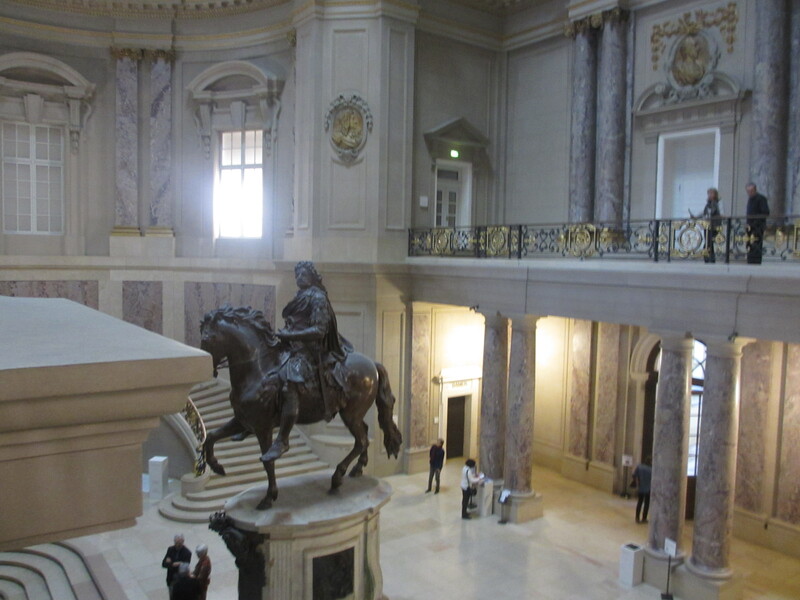 A chance comment by our friend Elke led me to the café atop the Bode Museum filled with statues, where you can access the café without paying the entrance fee and enjoy one of the most gorgeous settings imaginable. There I nursed a cappuccino and a piece of plum cake for a good two hours and made some progress on a sticky editing job that had been plaguing me. The coffee cost about 40 cents more than I’d typically pay in an average Berlin café, but that seemed a small price to pay to be able to work, uninterrupted, in a telecommuter’s paradise. Though I’d considered working in this café for months now, it was only the adventure of paying a simple medical bill that led me to this site. If time is money, then our decision not to open a konto was a boondoggle. But if time is adventure, then the decision to remain rooted in a cash economy was brilliant. This entry was posted in Bureaucracy, City life, Getting lost, Sabbatical and tagged Berlin, Bode Museum, konto on January 9, 2014 by Jill M..